Tagged with Brexit, EnglishUK, European Commission, Government, no deal, UK, UUK. Planning for a ‘No Deal’ Brexit situation has increased in pace and tone on both sides of the English Channel, as politicians made clear that the continuing impasse in the UK parliament is increasing the likelihood of the nation “crashing out” of the bloc. "English UK members are very concerned indeed about the ever-growing likelihood of a no deal"
Following political developments in London, European Commission vice president Frans Timmermans said Brussels would adopt its contingency plans for the Erasmus+ program, along with other pan-European schemes and policies affected by Britain’s predicted sudden exit. This includes ensuring “young people from the EU and the UK who are participating in the Erasmus+ programme on 30 March 2019 can complete their stay without interruption” and “UK beneficiaries of EU funding would continue to receive payments under their current contracts, provided that the United Kingdom continues to honour its financial obligations under the EU budget,” according to a statement. But Universities UK, the nation’s sector body for HEIs, warned the UK government offer set out in a new ‘technical notice‘ did not go far enough to assuage the sector’s concerns. The government said it “aims to minimise the impact on projects in a no deal scenario [and] work closely with the National Agency to update organisations when more information is available from the European Commission,” via the new notice. However, as this relies on “engagement” with the Commission, it is unclear how the 2019/20 class would be affected. Despite this uncertainty, the government in Westminster continued to encourage UK institutions to apply for Erasmus grants. Timmermans “reiterated” the Commission’s wish for “the UK government to clarify its intentions to reflect its next steps as soon as possible”. In a statement this morning, UUK pointed out that despite earlier promises to “guarantee” Erasmus+ funding and support UK institutions or projects in future bids for European money, “the UK government has not committed to providing any further funding for students planning to study in Europe in the case of a no-deal Brexit”. “As a matter of urgency, the UK government must reconsider its decision and commit to fund 2019/20 study abroad placements in the event of no deal,” UUK chief executive Alistair Jarvis said. 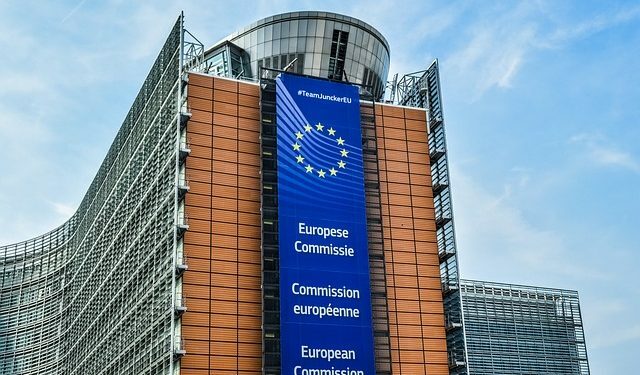 “This means thousands of British students could miss out on the life-changing opportunity to take on placements at European universities on the Erasmus+ scheme. In particular, this decision will affect students from poorer backgrounds and disabled students, many of whom rely on financial help to meet the extra costs of studying abroad,” he added. Other stakeholders such as Vivienne Stern, the head of UUK’s international arm, made their feelings clear on social media. Stern said the government statement revealed its plans were “not what we understood by the guarantee [to Erasmus+]”. Since about half of all study abroad is currently funded via Erasmus that could mean halving of opportunities for UK students to spend some time abroad. In the current climate this is a really short sighted decision. Govt should think again. The plan is “very disappointing” she added. In the case of a no deal Brexit, the UK government confirmed it would end the free movement of EU citizens into the country “as soon as possible”. Home Secretary Sajid Javid said EEA citizens would be able to travel, work, and study in the UK for up to three months without a visa, but this is intended to be an interim measure and longer stays will require a European Temporary Leave to Remain visa. Sarah Cooper, chief executive of English UK the ELT industry body, said she shared the view of the Confederation of British Industry chief Carolyn Fairbairn that it was “a deeply frustrating day for business”. “English UK members are very concerned indeed about the ever-growing likelihood of a no deal. Although we know that EU learners booking courses of up to three months will be able to come as they do now if there is no deal, there are very real fears that group leaders for European teenagers will decide against booking because they fear they won’t get in. That scenario could threaten the existence of some small businesses. Speaking on the Immigration Bill, which is now in the committee legislative stage at Westminster, Cooper added that stakeholders were pleased the Home Office appeared open to discussions, but that the current proposals do not fit with the industry reality. “We are very engaged in exploring options for short-stay study with the Home Office policy team as well as key influencers within government and the wider industry and focused on achieving the lightest-possible immigration touch for our learners, the majority of whom are under 18 and come here for a week or two,” she told The PIE News.